How we feed ourselves plays a major role in how we view and interact with the world. Many of us have heard about unconscious bias over the past few years, but how many of us have even bothered to consider the unconscious bias we have towards sharing with our community, and the complications that arise from an agricultural food system. If we take at look at where we came from (African hunter-gatherers) to where we are now (global agricultural capitalist economy) we can see a stark difference between the two modes of being. One of these systems induces a natural desire to share, and the other system induces a natural desire to horde and not share. I am not here to pass judgement either way, the point of this blog is to instead look at the ways in which foraging (specifically foraging for plants that nobody tended to) has the odd ability to create a desire for sharing and community. Arguably the oldest known group of humans on Earth are the San in southern Africa. I think that it would be absurd to insinuate that we should all go back to live like the San, however it would be absurd as well to leave them out of the picture, due to the fact that these people are a genuine depiction of what truly wild humans look like. There have been countless adaptations, alterations to our DNA and ecosystem changes since the beginning, but it would be insane to leave out the baseline of humanity when discussing this topic. The San are well known for sharing everything among their tribe. It is typical for a man to share meat from a kill with everyone present. It is also common for women to share their take with the rest of the group upon return to the village. Sharing is a central part of the experience of being a San. I would in fact argue that what it means to be a wild human is to be "the hominid that shares". Some have even made the argument that without cooperation and sharing we humans would have never even made it to where we have made it today. Everyone sharing water from an Ostrich egg. Everyone is thirsty or no one is thirsty. Why would there be any advantage for an individual, or even a group to share everything? To ask these questions in our modern USA is akin to heresy at the highest degree. Questioning individuality is among a few of the modern "untouchable ideas" of our age. It is viewed as socialism and it is viewed as desecrating the sacred. But what if we question the idea of individuality with the intent to make the life of the individual better? Could the answer to the happiness and fulfillment of the individual be the very sharing and cooperation that the individualists detest? What if sharing food and goods with others is actually a way to be consistently fed and taken care of? In other words, what if giving is inherently a selfish act? I feel that before I go on, I must assure you readers that I do not endorse socialism, but to be completely honest nor do I endorse capitalism with all of my heart. I am fully of the belief that what it means to be a human transcends any economic system. Economics aside, a foraging society actually makes sharing the rule and not the exception because of the fact that any foraging society is relying heavily on plants, mushrooms, and animals that have no origin in the hands of humans. Stated another way, foraging societies take free food from the landscape, and I think psychologically this makes all of the difference in the world to eating plants that a person tended to from birth to harvest. Having spent many years gathering wild food, I can personally attest to the mindset shift that happens when one encounters too much free food. Foraging for food can be an incredibly humbling experience once you really start to see just how much food there is out there. Scarcity is not usually on your mind in the summer and fall months. I have been feeding myself more and more wild food with each passing year, and yet I am still consistently blown away by just how much nature provides us. There are times when I have found more oyster mushrooms (Pleurotus spp) than I or my entire group of friends could possibly eat in a months time. What can you do in this situation besides marvel at the gift that we are receiving constantly in the form of life sustaining food? Agricultural foods are bred for longevity of shelf life, or storage ability. Many wild foods are unable to make it in any meaningful sense on the marketplace due to their short shelf life. When you are in a landscape that is dominated by things that you had no hand in planting, it would be a stretch to imagine these plants and the animals that live there as being your property. By contrast, when you are in a landscape that has been plowed and planted by the sweat of your brow, and you have spent painstaking hours toiling under the sun, it is fairly easy to imagine the land, the plants and the animals that live there as being your property. Whether or not this is true, I will leave for you to decide. Nonetheless these two modes of operation are completely at odds. Food, by necessity then, is a gift for the foragers of the world, and something to be incredibly grateful for. And for the agriculturalists food is not a gift, but a mathematical equation to be worked out. Plowing+Planting+Weeding=Harvest. None of this is to say that all foraging societies were completely sharing. There are certainly stories and traditions of hording and not sharing among hunter gatherer groups. It would be dishonest for me to promote otherwise. Maple sugar forests were usually "owned" by a family among the Anishinaabek. Wild rice was "owned" in some regions as well, and people were killed over "property" disputes. 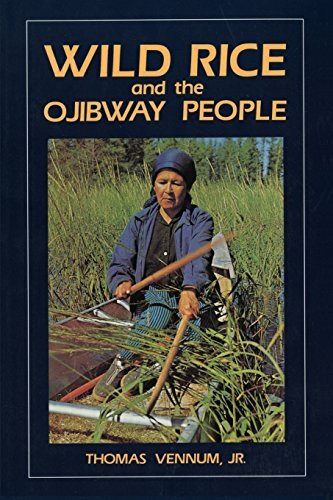 In fact wars have been fought over wild rice in the past (Source book below). The pacific northwest was so prolific with an abundance of food that the indigenous people had actual hierarchy and a thriving slave market there. Wild foods promote sharing and group cooperation, but they don't make people angels. It is my belief that the world that we live in could be improved by incorporating this ancient practice back into our lives. Foraging for food offers us a unique opportunity to start sharing, even if only a little bit. I see no better place to start than the very gardens we tend to in our summers and falls. Wild amaranth (Amaranthus spp. ), Lambs quarters (Chenopodium album) and Purslane (Portulaca oleracea) are incredibly healthy foods, they are not usually planted by anyone, and they are typically quite abundant in their nature. It is therefore quite an easy thing to imagine sharing with people the gift of your overabundant garden weeds. Another obviously easy thing to share is the overly abundant invasive species blanketing our landscapes. Abundance is their very nature and so therefore they lend themselves readily to sharing. Often people are willing to share their land with you if it means you are going to help drop the populations of these problem species. Little by little your mindset can change, you can start to feel like the health of your community is synonymous with your own health. Sharing creates healthy and loving communities, and as enigmatic as it may seem, it creates healthy individuals that do better overall. But don't just take my word for it, as scientists have found that sharing food actually makes you a better person. Take a gander at that study right here . There is so much more that can and should be explored here, but for now I would like to urge everyone out there to take a deep look inside and see where you might fall on the sharing spectrum. The next time you are out foraging, gather more than you need in order to give some of it away. Give thanks for all that the world provides. You don't have to offer anything but your thankfulness. Perhaps your thankfulness will grow inside and incite in you a desire to protect wild spaces everywhere. Sharing is something that is near and dear to my heart, and my desire to share is increased with each and every year that I eat from what was planted by nature. Thank you all for checking out my latest blog. I have been really working hard on studying to bring you all of this content, and new content to come. That being said I now have a Patreon account and I am happy have any and all of the support that can be offered up my way so that I can continue to spread the good news about plants. Support me here. If donation is not your thing, and I understand completely, then think about clicking through any of my Amazon Portals on this website( Like the wild rice link above). Every time you click through one of these links and continue on to do your normal purchasing on Amazon, I get a percent of what you bought and the best part is that it costs you nothing! Merci!